Due to Heem’s medical history and eyesight issues, as detailed in the ‘About Me’ section, various problems currently exist at our family home. The Royal National College (RNC) for the Blind is great for Heem as it provides him ample space for him to move safely, store his belongings in an order he can access without help and store specialist equipment which assists in his daily living. However at home he is sleeping in a small room which can just about fit in a single bed. He doesn't have enough room for storage. He struggles in the bathroom as someone has to separate his products before a shower as he can't distinguish his from the families, this is important as he also suffers from asthma and eczema. He also can't use his cooking skills he has learnt at RNC at home as the kitchen is too small, there is no room for his specialist equipment or for him to work safely. After being in touch with Birmingham City Council they suggested splitting the living room into half and moving the sisters downstairs so that Heem could use their bedroom. This was not appropriate for us as we are a family of 6, with 3 daughters and Heem. The daughters have also found it difficult to adapt to Heem's condition, as children they find it hard to comprehend and adapt to his changes, the youngest does not fully understand why he cannot see. The solution also did not resolve the issue of kitchen space or bathroom facilities. Instead we have decided to use the preferred option of the DFG (Disability Facility Grant) which does not even support the funding for an adapted bedroom. 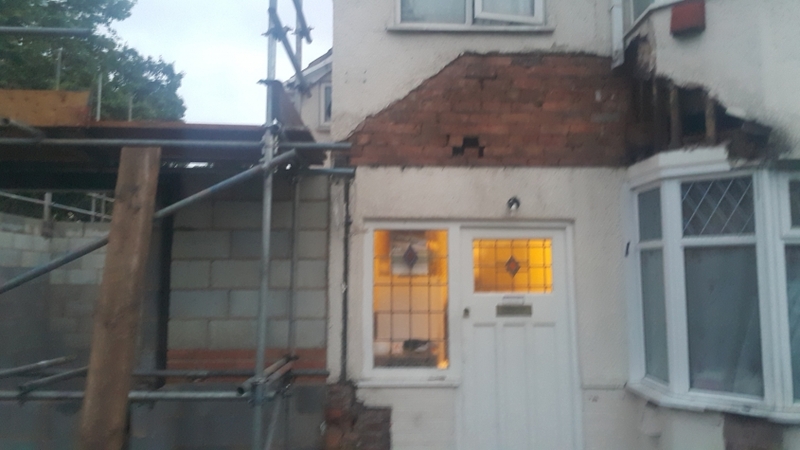 We have started a side extension to give Heem a bedroom with an ensuite and a separate study room so he has enough facilities to study at a Birmingham University. 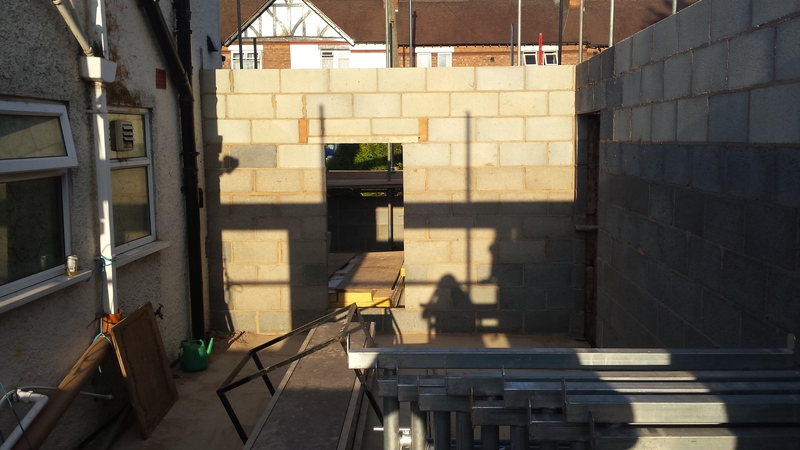 The side extension will also extend the kitchen, allowing a suitable section to be allocated to Heem safely and for equipment storage. The work will also level out the garden to give him safe access and to allow him to continue playing blind sports with his siblings in the comfort of his own house. Overall the extension will allow him to continue growing his independence at home whilst he continues his educational ambitions. It will also allow the daughters to keep their bedroom upstairs whilst maintaining the much needed living area downstairs. We have had to start the extension as the DFG grant time limit will be running out soon, however we still have a shortfall of £25,000. You can also support us by texting HEEM50 £5 to 70070. As a young child Heem was always a lovely and bubbly character who loved playing outdoors, riding on his bike with his friends and having fun with his sisters. However we started noticing his eyesight was continuously deteriorating. As a child who started school loving to read stories, he found it harder and harder to read. Every couple of months we would visit a high street opticians who would prescribe him glasses with constantly increasing prescriptions. Eventually he was referred to the local hospital (Birmingham Children Hospital). After initially not being able to identify why Heem was losing his sight, one consultant diagnosed him with Keratoconus (the lense of the eye is an unusual cone shape). They offered an operation that would freeze his eyesight where it was. Although we were anxious about the operation we felt a sense of relief that his eyesight would not be getting any worse. According to the hospital the operation was a success but it was just the start of Heem’s problems. He was in agony and became very depressed after the operation, having to leave the secondary school he just started. But the worse bit was, the operation made his eyesight worse he went from having enough vision to walk to basically nothing, his life changed forever. He now can only see the difference between dark and white large objects, he needs a walking cane to go out and about and no longer can do any thing by himself. It was very difficult time for the whole family. We went from the belief that the operation would be the start of a new beginning to it starting an avalanche of issues. Living in Birmingham, support was very limited through social services. No one got in touch about providing support or even to find out why he was not in school. Eventually we found him a school for the visually impaired but he struggled, he felt intimidated and isolated from the community and his friends who were all in public schools. He then had to change school again and we were really lucky to find a school that had a visually impaired unit but was part of a public school. The school was amazing, they taught him how to use the walking cane, how he could use voice services to write and communicate and how he could get back on track with his education. Heem is now studying in Royal National College (RNC) for the Blind where he has developed his skills even further. He can now participate in blind football, has been taught how to cook using specialist equipment but most importantly he has been taught independent skills so he is less reliant on other people in daily tasks. He has ambitions of going to university and the change from straight after the operation to now is amazing. How much do we need to raise? We need to raise an additional £25,000 as the DFG grant does not cover the work we are doing. How will this change our lives? By providing Heem with independence, it will allow him to enjoy living at home again. It will also reduce the strain on the family, as currently someone has to always watch what he is doing to make sure he is safe. We are hoping the project will take between 3 to 4 months to complete. 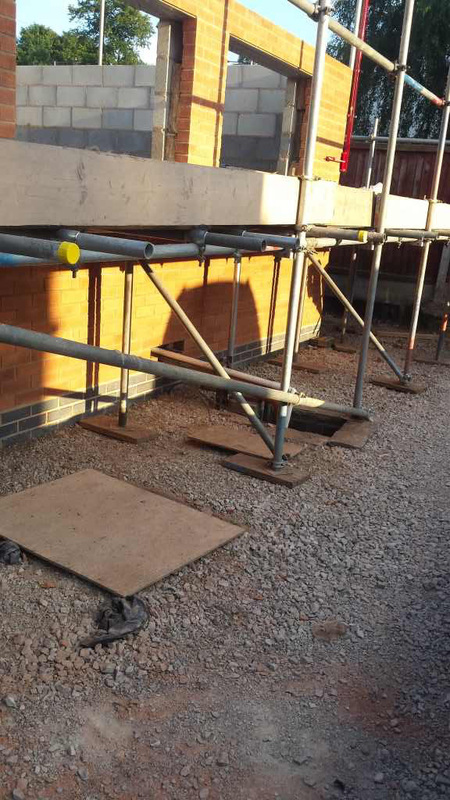 We are extending the house to provide Heem with an en suite bathroom and house adaptions to gain independence. £10,000 is toward purchasing and fitting of a level access bathroom suite, that will be used for Heem's en-suite. £5,000 will go towards purchasing and fitting of materials (such as railings and paving) that will be used to make the garden safe and accessible. 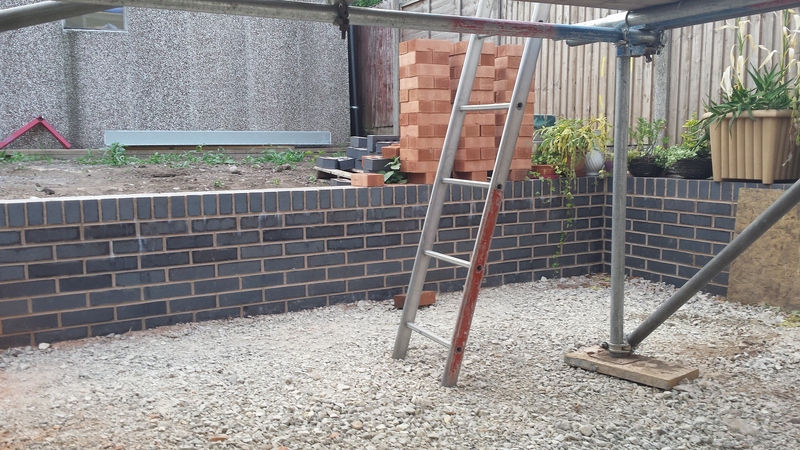 £10,000 is toward completing the exterior building of the extension (which will provide the bedroom and the kitchen).